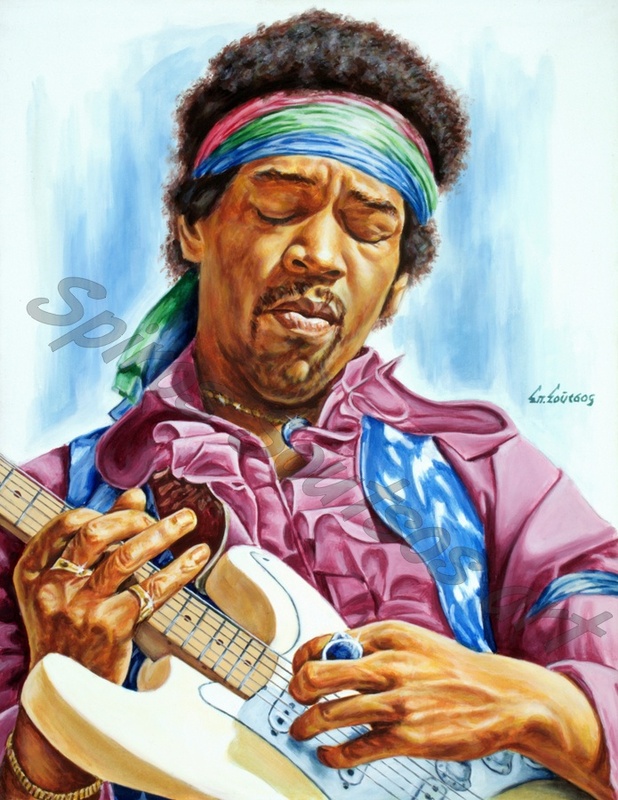 James Marshall “Jimi” Hendrix (born Johnny Allen Hendrix; November 27, 1942 – September 18, 1970) was an American rock guitarist, singer, and songwriter. He is widely regarded as one of the most influential electric guitarists in the history of rock music, and is one of the most celebrated musicians of the 20th century. The Rock and Roll Hall of Fame describes him as “arguably the greatest instrumentalist in the history of rock music”. He was born in Seattle, Washington, and he began playing guitar at the age of 15. In 1961, he enlisted in the US Army and trained as a paratrooper.He was granted an honorable discharge the following year. Soon afterward, he moved to Clarksville, Tennessee, and began playing gigs on the chitlin’ circuit, earning a place in the Isley Brothers’ backing band and later with Little Richard, with whom he continued to work through mid-1965. He then played with Curtis Knight and the Squires before moving to England in late 1966 after being discovered by Linda Keith, who in turn interested bassist Chas Chandler of the Animals in becoming his first manager. Within months, Hendrix had earned three UK top ten hits with the Jimi Hendrix Experience: “Hey Joe”, “Purple Haze” and “The Wind Cries Mary”. He achieved fame in the US after his performance at the Monterey Pop Festivalin 1967, and in 1968 his third and final studio album, Electric Ladyland, reached number one in the US; it was Hendrix’s most commercially successful release and his first and only number one album. The world’s highest-paid performer, he headlined the Woodstock Festival in 1969 and the Isle of Wight Festival in 1970 before his accidental death from barbiturate-related asphyxia on September 18, 1970, at the age of 27.